We help you turn prospects into buyers. Since 2007, Marketing Interactions, Inc. has worked with B2B companies with complex sales to create digital marketing strategies that are compelling, highly leveraged and, most importantly, designed to engage prospects across the entirety of the buying process – what Ardath Albee, CEO, calls The Continuum Experience. Results-oriented content marketing programs require a well designed and executed digital marketing strategy. Marketing Interactions works with clients to create radically-relevant strategies along with the underlying processes to execute and optimize results. It’s always about your buyers and customers. 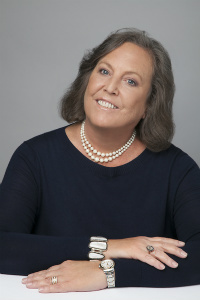 Ardath Albee, B2B Marketing Strategist and CEO, believes that digital marketing strategy always begins with buyer personas that help marketers and salespeople and the organization clearly understand who their audiences are, what they care about most deeply and who they must gain consensus from to embrace change. With these insights clearly established, you can now create overall messaging and positioning platforms that inform content marketing strategy and the development of marketing content that powers integrated digital and social initiatives that drive pipeline momentum that produce more qualified sales opportunities. With strategic, integrated marketing processes in place, making the transition from traditional marketing to customer-obsessed marketing is made simpler and more effective. Gain mastery of content marketing. Ardath Albee brings over 30 years of business management and marketing experience to help B2B companies with complex sales use digital marketing strategy and compelling content to turn prospects into buyers. She’s a strategist, storyteller, speaker, blogger, teacher, and content geek who is obsessed with helping companies become so damn relevant that buyers can’t help but choose to become customers and, once a customer, making sure they’d never think of leaving. Ardath has written two books about her obsession, Digital Relevance and eMarketing Strategies for the Complex Sale. She’s been recognized as a 2014 Woman to Watch in B2B by FierceCMO and spent the last four years on the 50 Most Influential People in Sales and Lead Management list. When she’s not working on projects, Ardath can be found putting her Australian Shepherd, Bella, through agility routines, cooking up gourmet meals for her husband or creating fictional characters for the stories she’s always dreaming up. Yes, she’s a member of the Romance Writers of America.